I love watching my kids eat when they love something, they eat with such a passion, it's great. I made this for the first time the other day and my kids loved it. They were all requesting any leftovers for school the next day, they even let their friends try it, and they liked it. This is very easy to make, has a little spice, which you can control, by adjusting the cayenne pepper, but as my kids are used to spice, I put the amount listed in the ingredients. The original recipe baked it at 250C for 15-18 minutes. Now I have never been able to bake any chicken pieces in 15 minutes, so I ignored that and baked it how I know it will work and I know the chicken will be cooked. So use my method as a guide or try Donna Hay's, do what works for you. Super easy, great flavours, a nice dinner for the whole family. In a large snap lock bag, add the smoked paprika, cayenne pepper, cumin and oregano. Give it a quick shake to combine. Add the oil, vinegar, sugar, salt and pepper. Shake the bag to combine. Add the garlic and the chicken, seal the bag, and move the chicken about to ensure each piece gets a nice coating of the marinade. 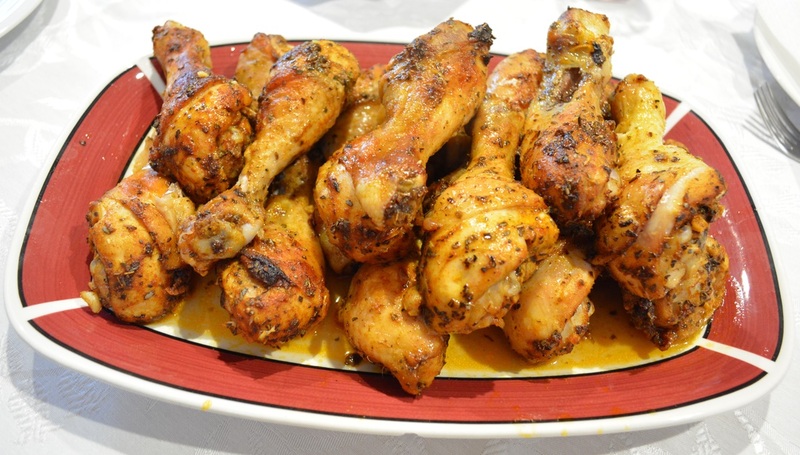 Place the chicken on your prepared baking tray, roast for 40-50 minutes or until golden and cooked through, (it can take up to 60 minutes, depends on your oven, and the size of your drumsticks, I just like to start checking at 40 minutes). Serve with lemon wedges and a green salad.